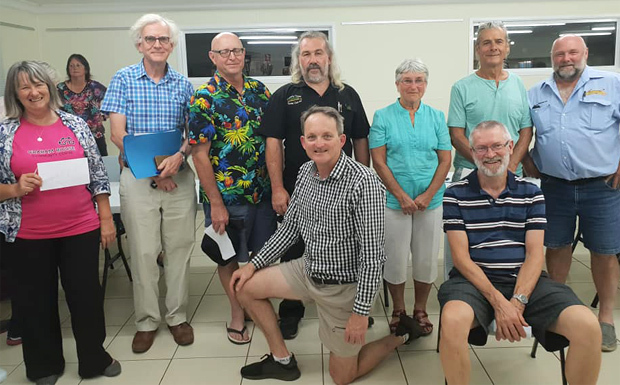 The future of the South Burnett Rail Trail looks very bright according to the newly formed South Burnett Rail Trail Users Association (SBRTUA). The group held its first public meeting on Tuesday night at the Wondai Regional Art Gallery’s Studio. It was attended by representatives from the Murgon Business and Development Association, the Murgon Rail Trail Festival, Heritage Bank Nanango, the South Burnett Mountain Bike Club, South Burnett RSPCA, the Wondai Country Running Festival, South Burnett Woodcrafters, the Murgon Men’s Shed, Bunya Valley Landcare and the Coverty Creek Community Development Association, as well as Deputy Mayor Kathy Duff and members of the public. They discussed the growth in the Rail Trail’s visitor traffic since it opened last October; how the SBRTUA hoped to work with the South Burnett Regional Council’s own Rail Trail Management Advisory Committee; and possible ways the trail could be enhanced or extended in future. SBRTUA president Dafyd Martindale said the meeting had been extremely positive. “We were very pleased representatives from every town between Nanango and Goomeri took time out to come and share their ideas,” he said. Ideas the group plan to examine include linking the Brisbane Valley Rail Trail to the South Burnett Rail Trail; introducing more native plantings along sections of the trail that will provide extra shade for users and eco-corridors for wildlife; and extending the trail from Murgon to Proston. 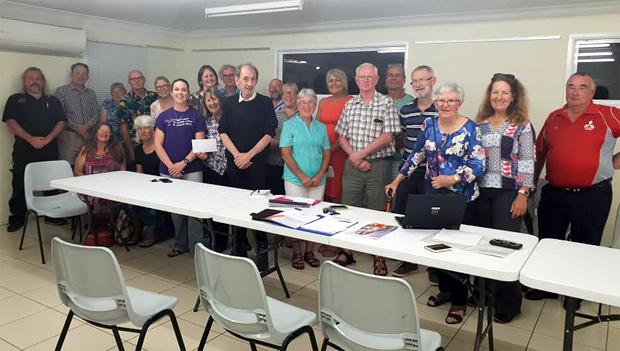 The group also plan to support the Wondai Country Running Festival and Murgon Rail Trail Festival, and hope to see other festivals and community events based around the trail spring up in other towns in the future. It would also like to help develop “loops” that attract users to go off the rail trail and explore other parts of the region, such as the McEuen Forestry Trails being built by the South Burnett Mountain Bike Club, Boat Mountain near Murgon or BP Dam and the Moffatdale wineries. “The Brisbane Valley Rail Trail Users Association (BVRTUA) has done a fantastic job developing the BVRT over many years, and we hope to work closely with them in future,” Mr Martindale said. “If we can link the two trails, we can create one continuous trail from Wulkuraka to Kilkivan that would be about 280km long. The meeting acknowledged there had been some opposition to the Rail Trail when the idea was announced in 2014. “When the rail trail was first proposed it received a fair bit of negativity in some quarters,” SBRTUA secretary Jason Wyeth said. “People were concerned about the cost – even though the State Government paid for it – and whether it would actually benefit anyone. “But 12 months on that attitude has certainly changed and we have received overwhelmingly positive reactions from the community and from visitors. The group plan to hold their next meeting in late January or early February next year. Excellent positive response and interest from the wider community. I attended the meeting as a representative of Wondai parkrun, who conduct a free timed 5km run, walk or crawl organized and run by volunteers. parkrun starts behind the Timber Museum on the Rail Trail at 7:00am every Saturday morning, and we will celebrate our 100th run on December 8 with runners and supporters coming from all over South-East Queensland.